How does Fitbit stack up to the competition? Digital Trends staff writer Malarie Gokey and FNC medical contributor Dr. Marc Siegel on the pros and cons of the Fitbit. Shares of Fitbit Inc (NYSE:FIT), a maker of popular wearable fitness-tracking devices, ran up as much as 60 percent in their debut, valuing the company at $6.5 billion. Fitbit is the second U.S. wearable technology company to go public, following action camera-maker GoPro Inc&apos;s (NASDAQ:GPRO) hugely successful listing around this time last year. Fitbit&apos;s colorful wireless wrist bands and clippable devices track heart rate, calories, sleeping patterns and step counts. While Fitbit faces stiff competition from device makers such as Garmin Ltd (NASDQ:GRMN), Jawbone and Misfit, its biggest challenger could be Apple Inc&apos;s (NASDAQ:AAPL) recently launched Apple Watch, which sports several health-related features and apps. "Fitbit&apos;s success will be closely watched, just like the sales of the Apple watch, to really give investors a better sense of how viable and sustainable this market is," CLSA analyst Ed Maguire said. The company&apos;s revenue almost tripled to about $745 million for the year ended Dec. 31. 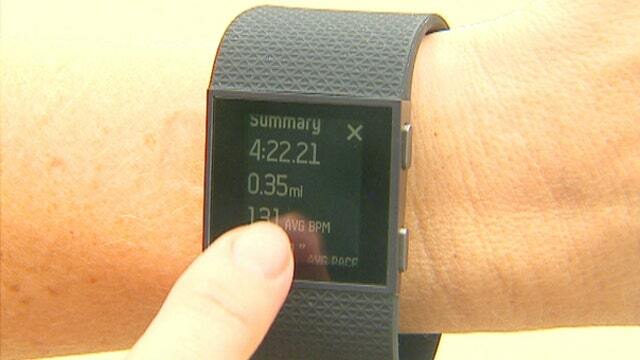 Fitbit reported net profit of $131.8 million, compared with a loss of $51.6 million. Co-founders James Park, who is also Fitbit&apos;s CEO, and Eric Friedman each own 11.2 percent of class B shares. Between them, they reaped about $31 million from the offering.